Stella Tennant, international super model, opened our stunning new Bailiffgate summer 2019 exhibition, 100 Years of Fashion. Stella has most generously loaned us some exquisite gowns from her own collection of world famous designers. In addition, Jane, Duchess of Northumberland, and many others have also brought out some of their very best evening gowns for us to display. Designer dresses and accessories loaned by Stella Tennant and the Duchess of Northumberland are joined by evening gowns, suits, handbags, shoes, hats and gladrags worn at special occasions by residents of Northumberland over the years. Showcasing the timeless elegance of Coco Chanel’s Little Black Dress to the iconoclastic designs of Vivienne Westwood, visitors come up close and personal with high fashion from some of the most influential couturiers of the 20th and 21st Century: McQueen, Prada, Galliano, Gucci, Givenchy, Philip Treacey, Valentino and more. Local photographer, George Skipper, has photographed four local women in some of the most stylish dresses from our exhibition. While nervous at the start, all four models greatly enjoyed their experience and the chance to return to the days when glamour really meant something! Bailiffgate volunteers have also made a number of vintage replica clothes (male and female) which means visitors can try on and make a selfie. Share with your friends the looks that turned heads in the past. Mirrors, accessories, hats and jewellery all help you get dressed up for your big photo opportunity on a real red carpet. The exhibition also highlights the changing fashions and trends over the last 100 years. 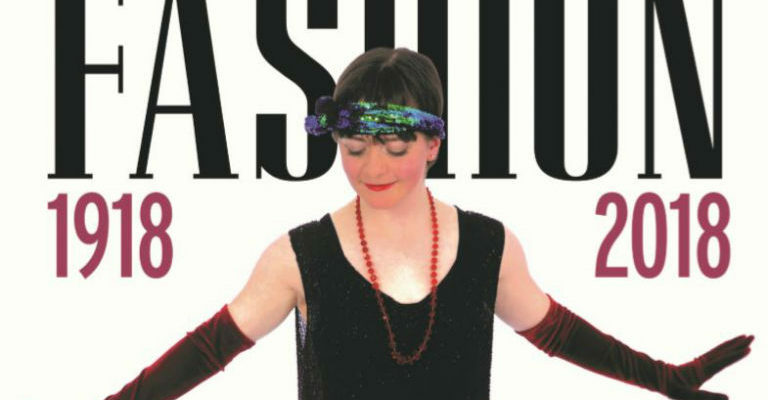 Dresses worn by Flappers, outspoken women of the roaring 20s defying convention after the end of the First World War; traditional men’s suits from the Second World War; 26” wide hemmed hipsters with flower power shirts from the 60s; Doc Marten working boots appropriated by skinheads, punks, goths and grunge and the ever seductive stiletto heel.